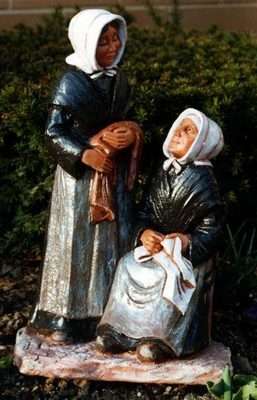 As Little Sisters of the Poor we welcome the elderly of all nationalities and beliefs. We uphold the sacredness of human life in all its stages. 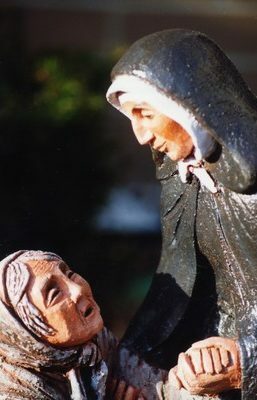 Believing in the total care of the elderly we have at heart to respond to their desires and aspirations. Jeanne left no writings. In fact the only written words we have from her are those of her signature. 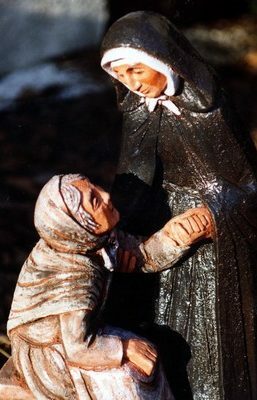 However, we are privileged to have many of her ‘sayings’, that is, advice she gave to the novices during the many years she providentially spent with them in the silence of their novitiate. "God wants me for himself, he is keeping me for a work which is not yet founded." "If God is with us, it will be accomplished." "Little, be very little, hidden by humility in all God wants from you, as being only the instruments of his work." 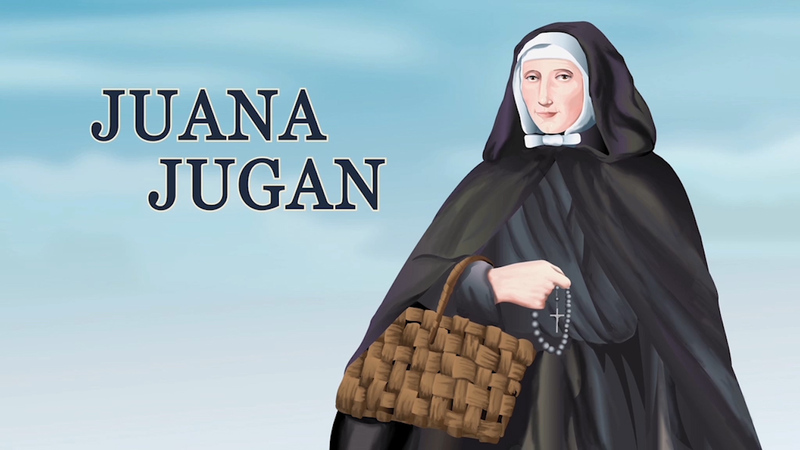 "It is so good be to be poor, to have nothing, to depend on God for everything." when you feel lonely and helpless. And then go your way. And don’t worry about knowing how you are going to manage. It is enough to have told our good Lord. He has an excellent memory." "Refuse God nothing. Accustom yourselves to do everything for him…. Let us love him very much, that is all that is necessary…." "He is so good….Love God very much. All for him, do everything through love." "Love God very much, so that you can look after the aged well, for it is Jesus whom you care for in them." "Be kind, especially with the infirm. Love them well…Oh, yes! Be kind. It is a great grace God is giving you. In serving the aged, it is he himself whom you are serving." "The Hail Mary will take us to heaven." "My children, you love Our Lady? She will be your Mother!" "We must always say: ‘Blessed be God. Thank you, my God’." "When you will be old, you will no longer see anything … as for me, I no longer see anything but the good God." "Eternal Father, open your gates today to the most miserable of your children, but one who greatly longs to see you. O Mary, my dear Mother, come to me. You know that I love you and that I long to see you."